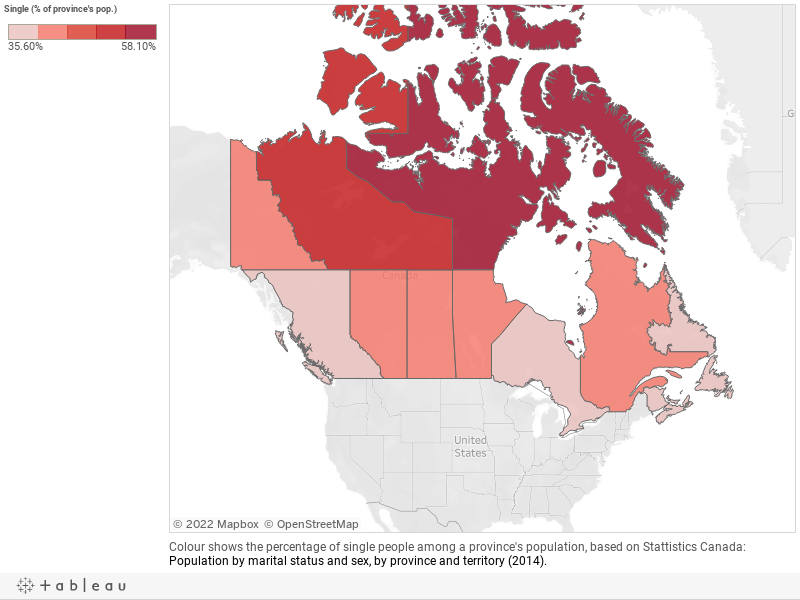 Using Statistics Canada's marital and relationship population estimates, we mapped how the number of single people compares to the rest of the population in each province. The numbers, from 2014, also show percentages of common law, divorced, married, separated and widowed people. We figured out the percentages based on total populations that Statistics Canada listed. Keep in mind ages in a population would factor into the number of single people, marriages and other relationships.